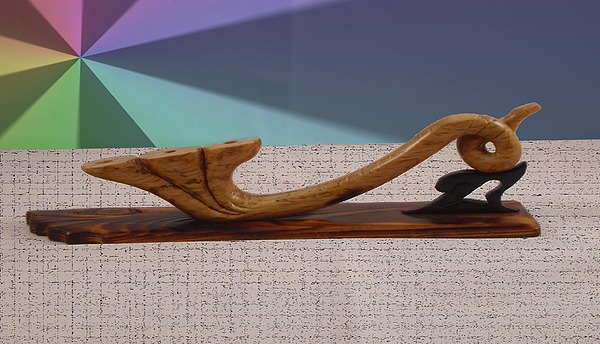 3 Way Oak Pipe is a sculpture by Majid Banimahd which was uploaded on January 14th, 2010. Outstanding work of art Majid. This is a very hard piece to do. I have made many pipes of oak and other woods. I have one on my FAA site title Noah. It is Noah's Ark carved in black walnut. You can see around every olive, leaf and branch growing out of the front of the Ark. It's the part of the ark that was left on the mountain side when it broke in half. I think you will like it. Keep up the good work Majid.